Studies show that women who are physically active have a lower risk for developing breast cancer. 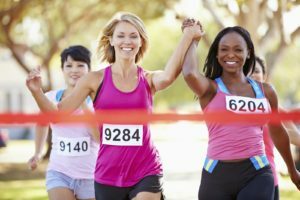 Physical activity and exercise have been linked to the reduction of breast cancer among premenopausal women, primarily postmenopausal women. 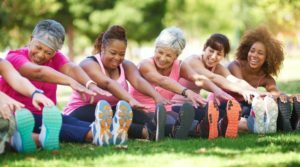 Postmenopausal women who increase their physical activity levels may have a lower risk of developing breast cancer. Physical activity prevents obesity while decreasing the negative impact it has on the body. Physical activity lowers levels of hormones such as insulin, estrogen, and other factors associated with the development of cancer. Physical activity improves immune system function, which helps to fight off disease. Now, let’s discuss fit ways to prevent breast cancer!!! 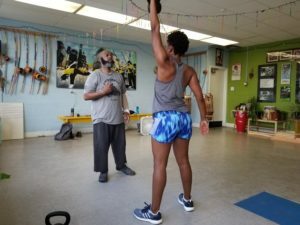 CrossFit for a cause: Every Monday, Wednesday, Friday from 6pm-7pm at MLK Rec Center, there are FREE CrossFit Training classes hosted by ULiftU training. 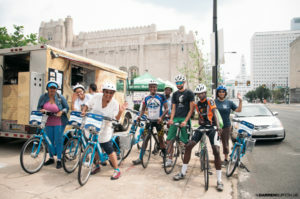 Cycle for the cure: Want to better your bicycling skills or just want to grab a bike and enjoy the fall season, check out the Indego website to learn more about FREE opportunities in Philadelphia. 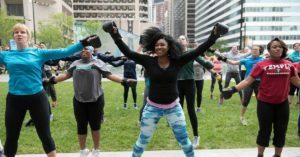 Kick box for boobies: Every Tuesday from 6pm-7pm throughout the month of October, Center City Fit will host FREE kickboxing classes at Dilworth Park. 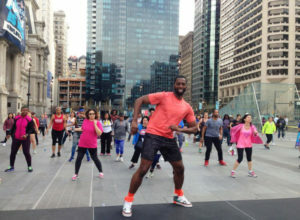 Dance in Pink: Every Monday from 6pm-7pm throughout the month of October, Center City Fit will host FREE Zumba classes at Dilworth Park. 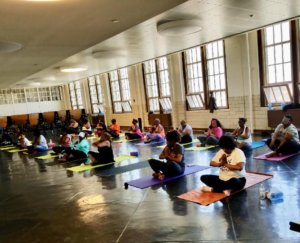 Stretch for better quality of life: FREE yoga classes every Saturday from 11am-12pm at Murrell Dobbins High School. Check out this awesome yoga class, open to all ages, gender, and fitness levels. With Awareness, there is hope. Continue to spread the word!